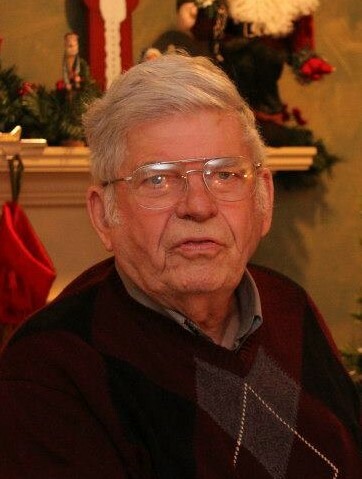 Charles “Charlie” Webster Gibeaut, 88, Sandusky, died on Friday, January 25, 2019 in Stein Hospice Care Center, Sandusky after a short illness. He was a long time Sandusky resident, born on November 13, 1930, who from a young age loved to spend time hunting, fishing, ice boating and doing anything outdoors along with his father and his brothers. He graduated from Sandusky High School and attended several colleges as well as Bob’s School of Fine Fishing. His father Webb was active in Scouting and Charlie became an Eagle Scout and later shared his favorite hobbies and his love of Scouting with his four sons. Charlie was an Industrial Arts teacher at Middlebranch Junior High school with the Plain Local School District of Canton, Ohio and retired from there but not before leaving many students with a life time memory of a teacher who did not always teach by the book but from the heart. His sense of humor in all situations and the ability to see interesting things about life in general and to share them with others will be missed! Charlie and his wife Beverly attended several local churches and they enjoyed going to them all amongst an ever increasing circle of friends. He is survived by his wife Beverly, his sons, Eric (Bonnie), Jeff, Greg and Andy. Beverly daughters, Catherine (Howard), Susan (Gary), and Elizabeth (Ron), his brother, Don, and numerous grandchildren and great grandchildren. Charlie was preceded in death by his father, Webb, his mother Tabea, brother, Bill, and daughter, Amy. At Charlie’s request there will be no services. Donations may be made in his name to the Sandusky Public Library, or Stein Hospice Service, or the church of your choice. Toft Funeral Home & Crematory, 2001 Columbus Ave., Sandusky is handling arrangements. Condolences may be made to the family by visiting toftfuneralhome.com.